We may all know these people from history class or from television. But we have never SEEN them like this before. These photos grant us a short and interesting look into the events and figures of a different time. For example, did you know that one of the Apollo 16 astronauts left a family photo on the moon? For real! 1. 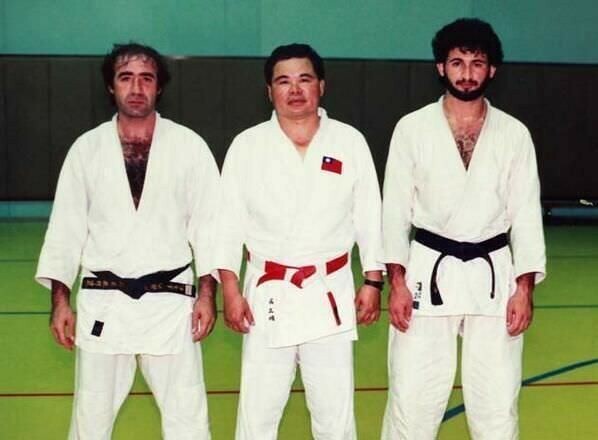 Osama bin Laden after Judo training (right). 2. 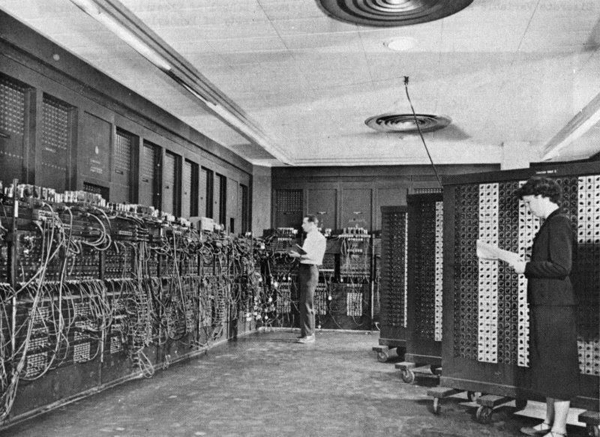 The ENIAC (Electronic Numerical Integrator and Computer) was the first electronic computer ever built. 3. 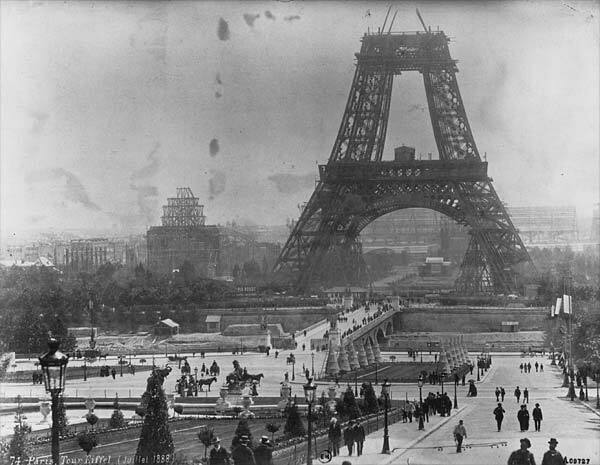 The construction of the Eiffel Tower. 4. 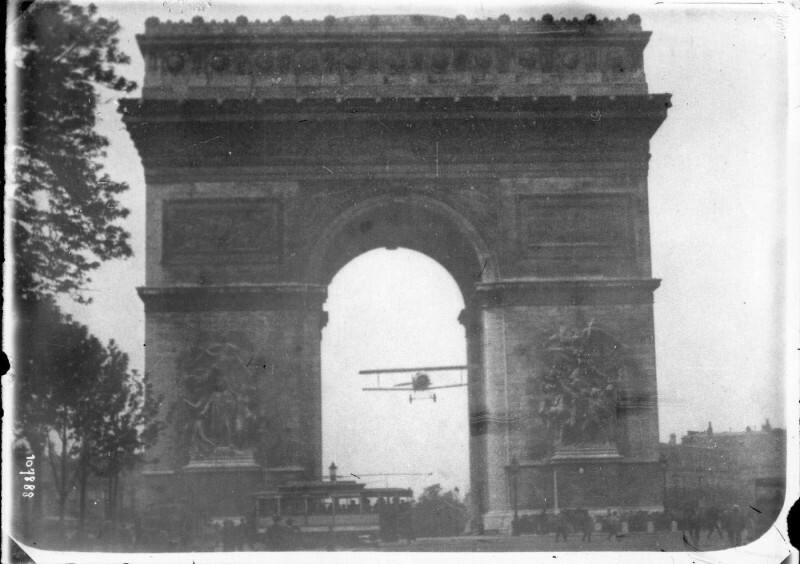 Charles Godefroy flying his Nieuport 11, named Bébé, through the Arc de Triomphe in Paris on 7th August, 1919. 5. 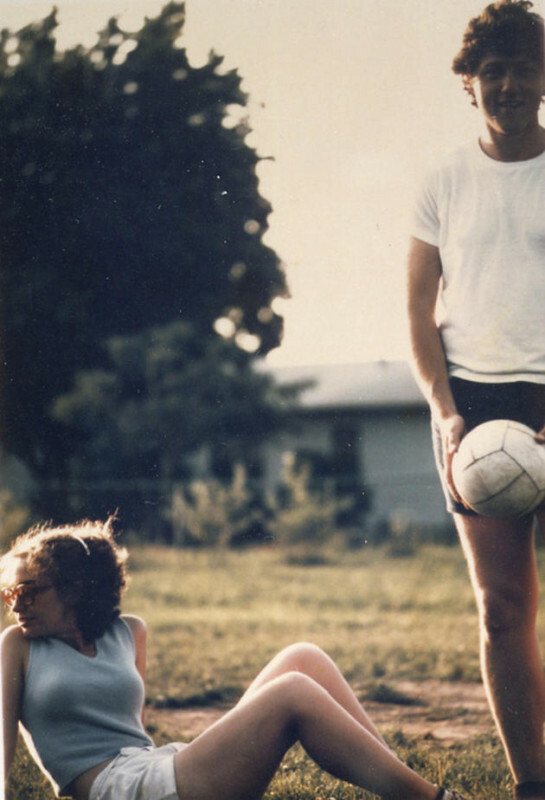 Bill and Hillary Clinton playing volleyball in Fayetteville, Arkansas. Circa 1975. 6. 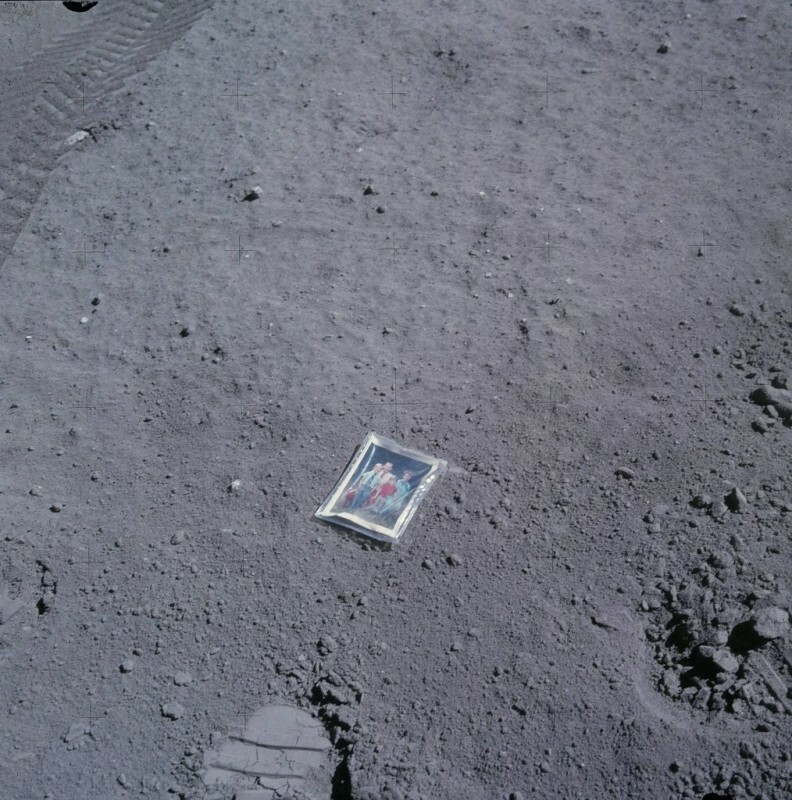 Charles Duke leaves a picture of himself and his family on the moon during the Apollo 16 mission. 7. 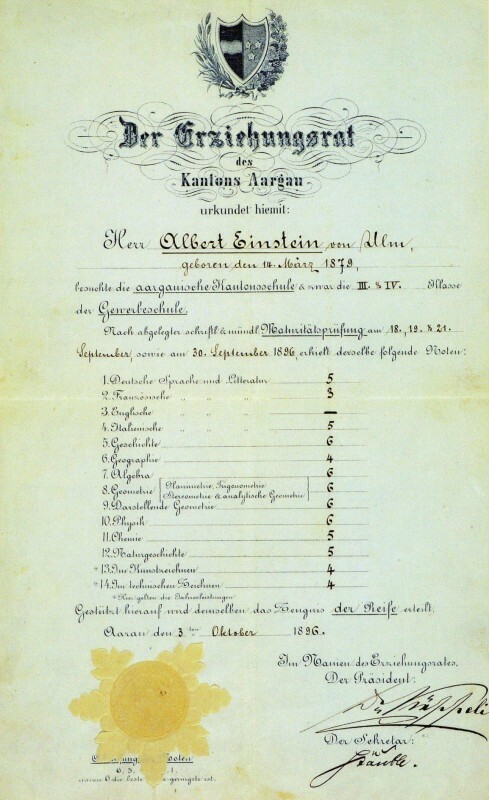 Albert Einstein’s report card. The grades system is from 1 (best) to 6 (worst). 8. 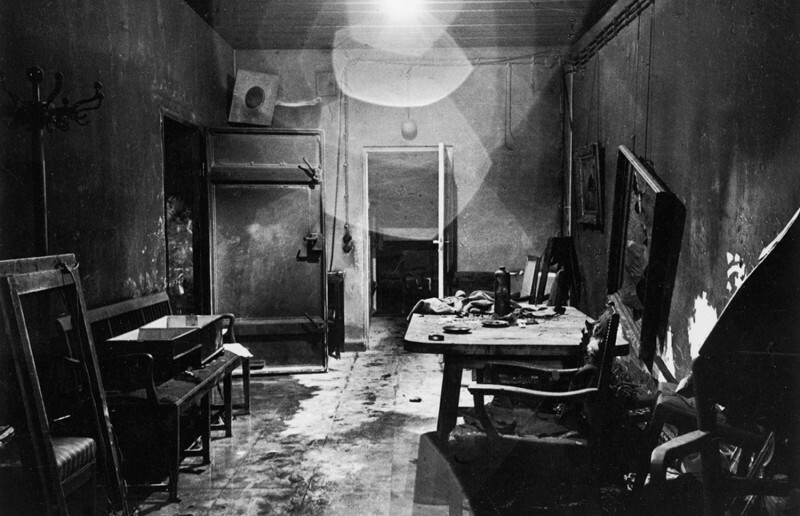 The first photo of Hitler’s bunker after its discovery by the Allies. 9. 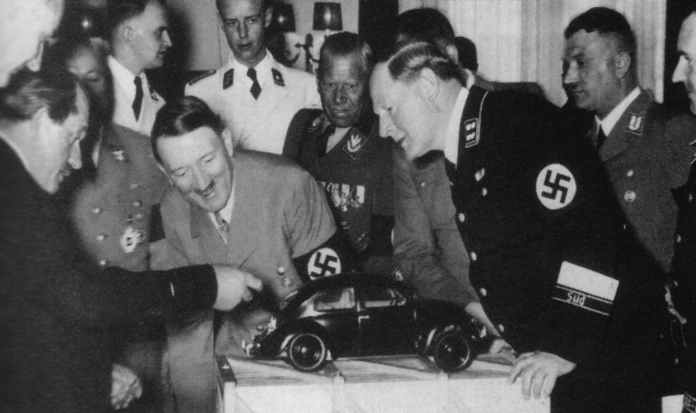 Ferdinand Porsche shows Adolf Hitler the VW Beetle. 10. 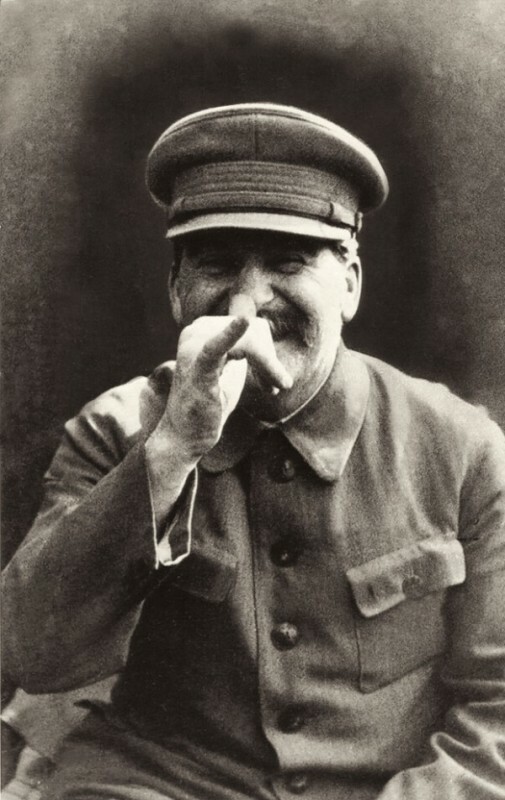 Stalin making a face. This unofficial photo was taken by his bodyguard. 11. 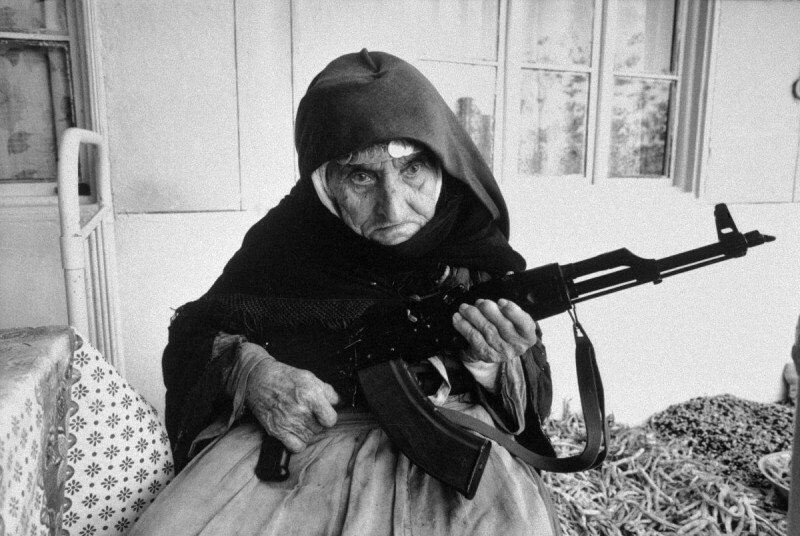 A 106-year-old Armenian woman defending her home in 1990. 12. 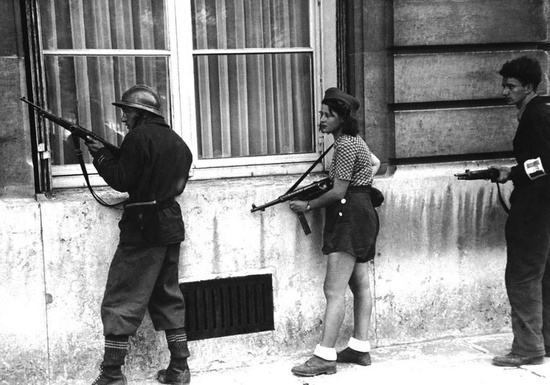 Members of the French resistance movement against the Germans (1944). 13. 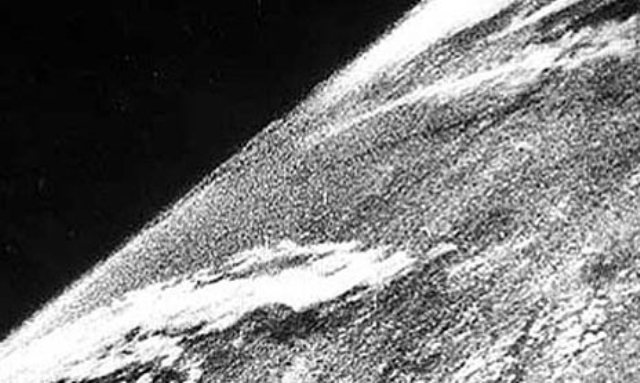 The first photo taken from space of the earth. The camera was onboard a V2 rocket (1946). 14. 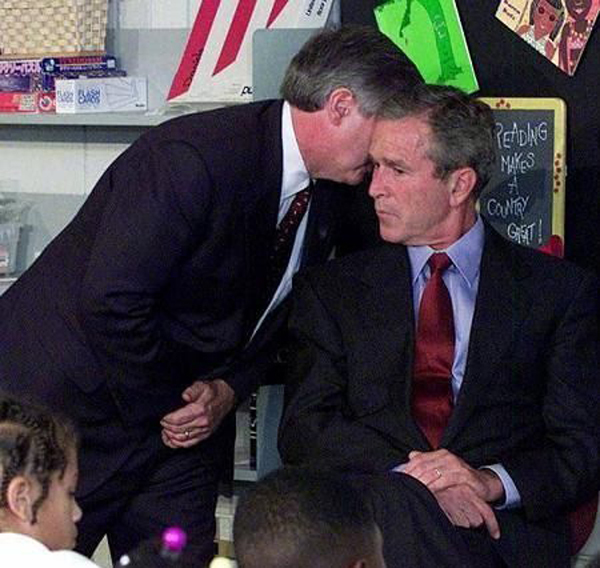 George W. Bush is informed at an elementary school about the attacks on September 11, 2001. 15. 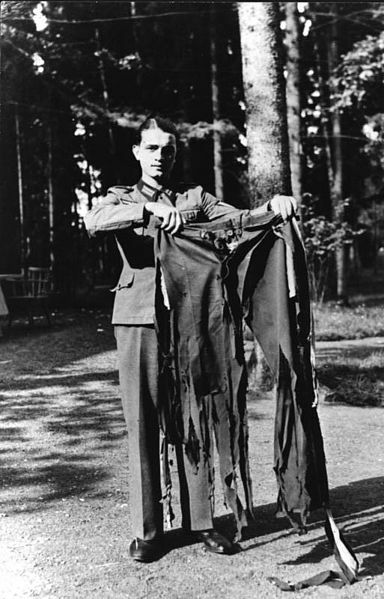 Adolf Hitler’s pants after a failed attack on the Wolf’s Lair (1944). 16. 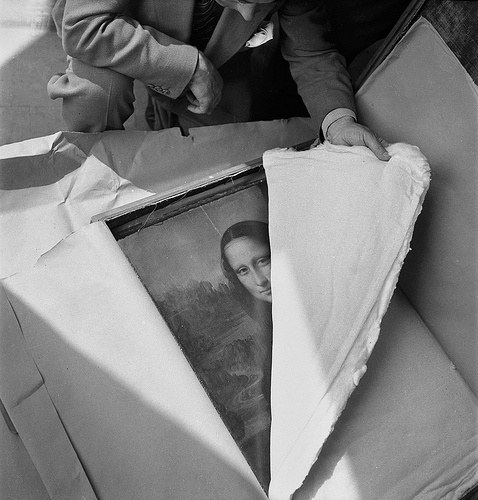 The Mona Lisa delivered back to the Louvre (1945). 17. 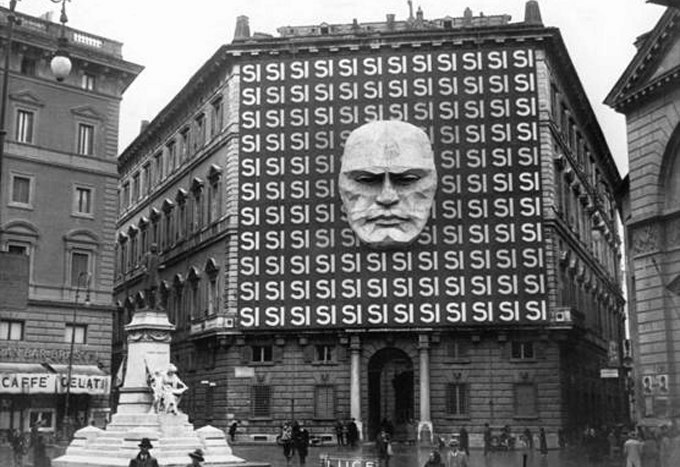 The headquarters of the Italian fascists, Rome, 1930’s. 18. 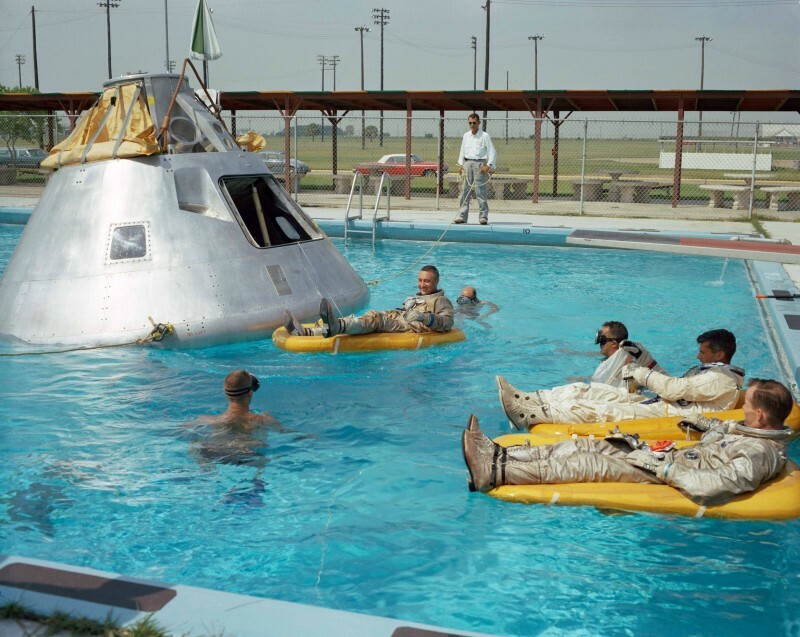 The Apollo 1 crew practicing landing on water. 19. 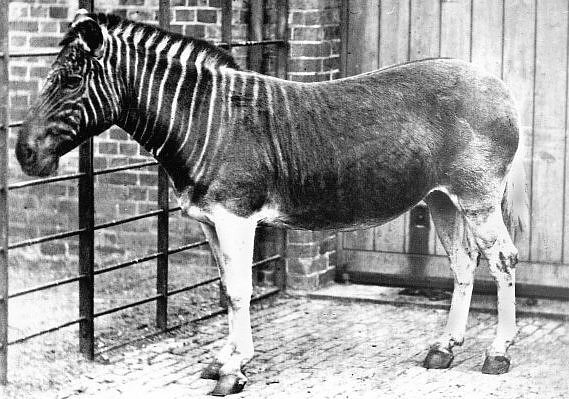 The only known photograph of a quagga, an extinct relative of the zebra (1870). 20. 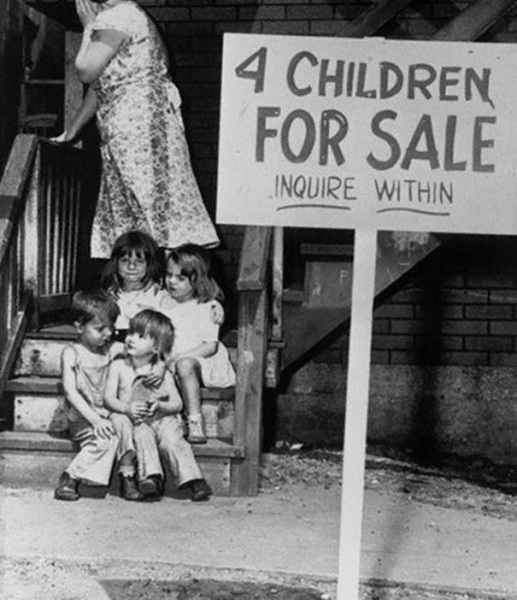 4 Children for sale (1946), because their parents are too poor to feed them. 21. 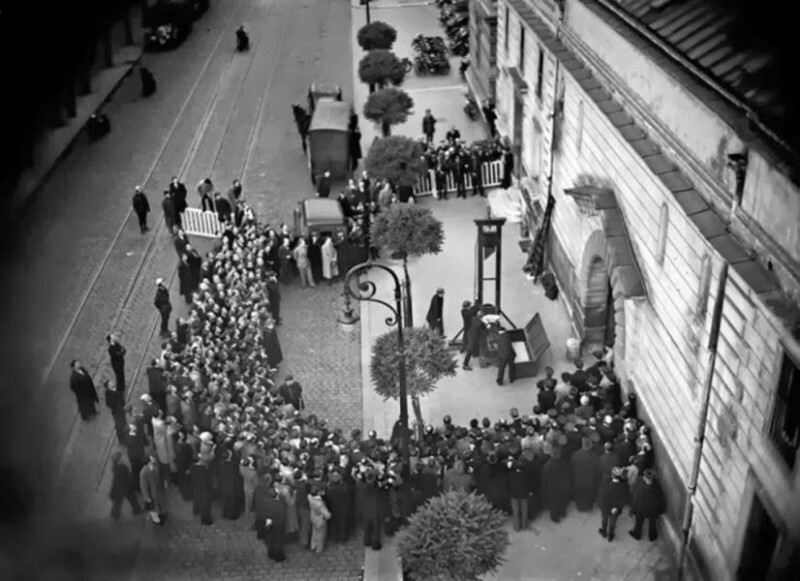 The last public execution by guillotine (1940). 22. 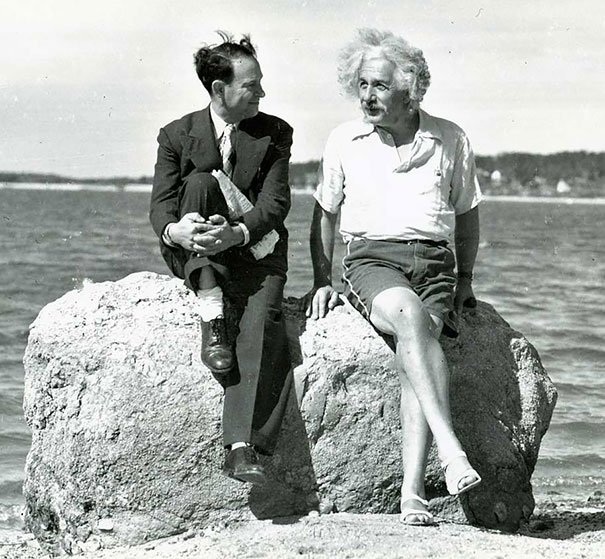 Albert Einstein at the ocean. 23. 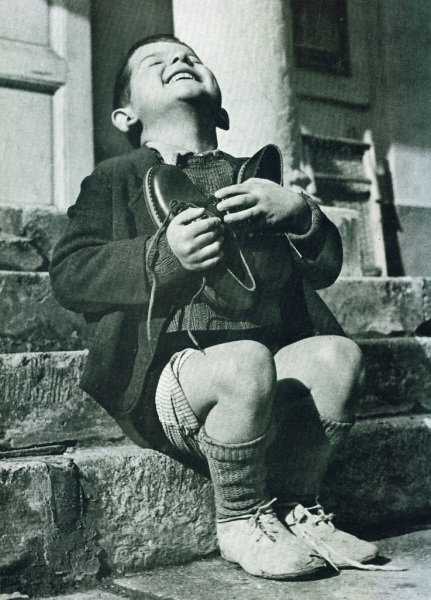 An Austrian orphan boy is happy about his new shoes (1946). 24. 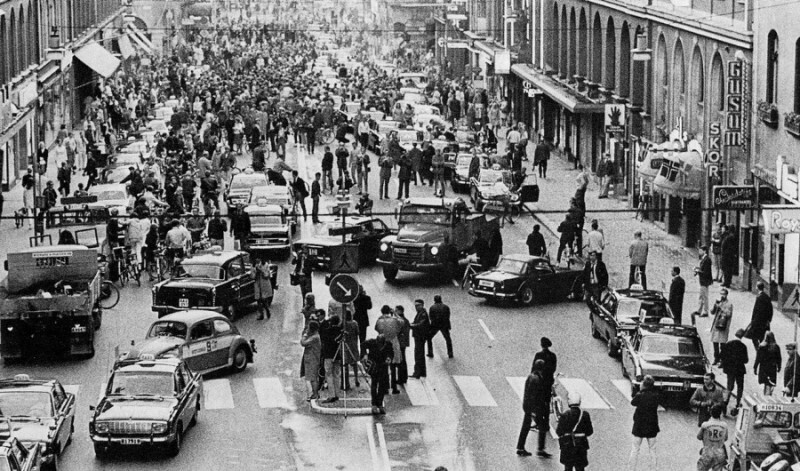 Sweden after changing from driving on the left side to the right. 25. 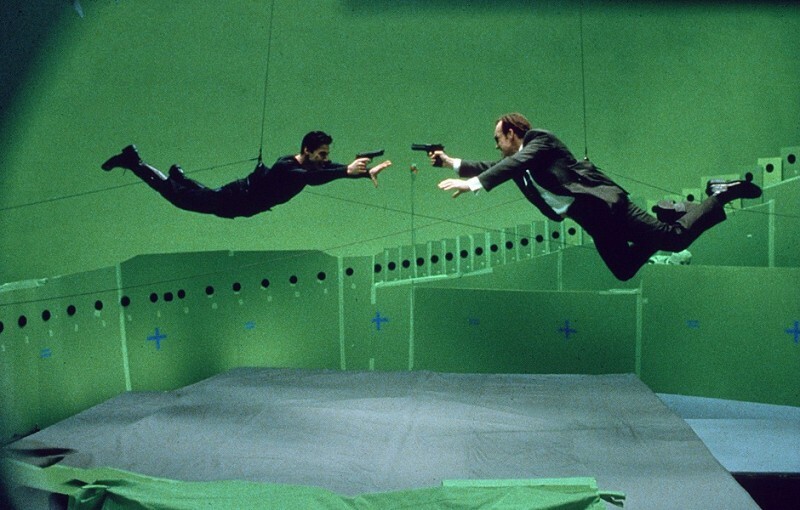 A scene from “The Matrix” without special effects. 26. 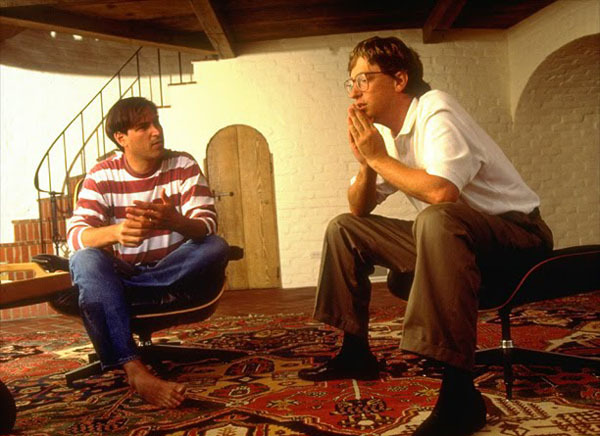 Bill Gates and Steve Jobs. 27. 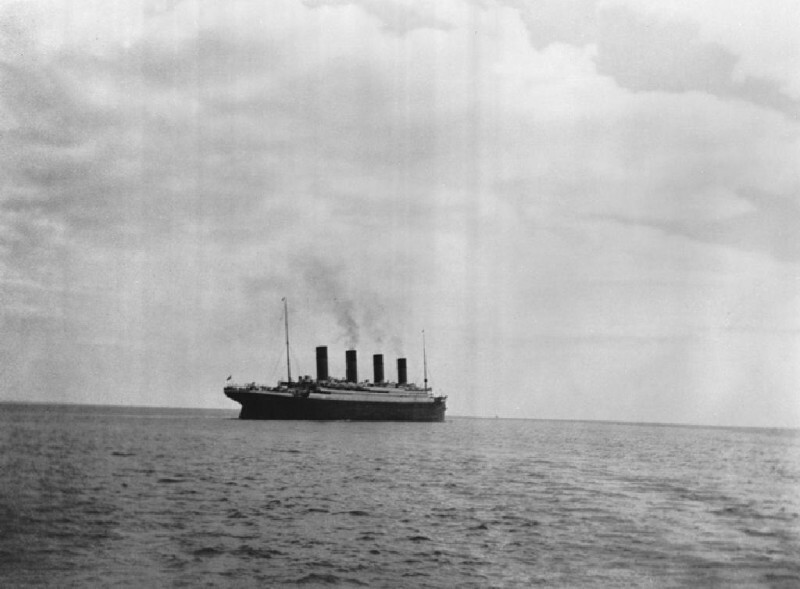 The last known photo of the Titanic before it sank. 28. 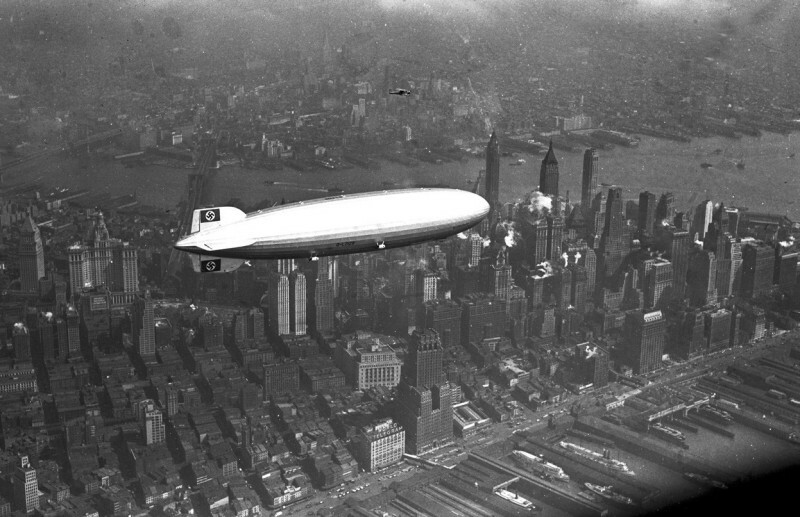 The Hindenburg flying over Manhattan (1936). 29. 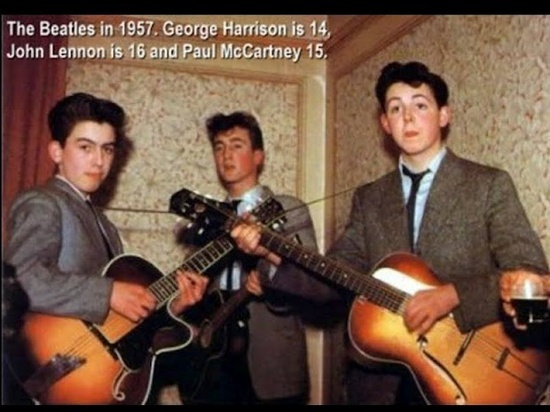 The Beatles as teenagers. 30. 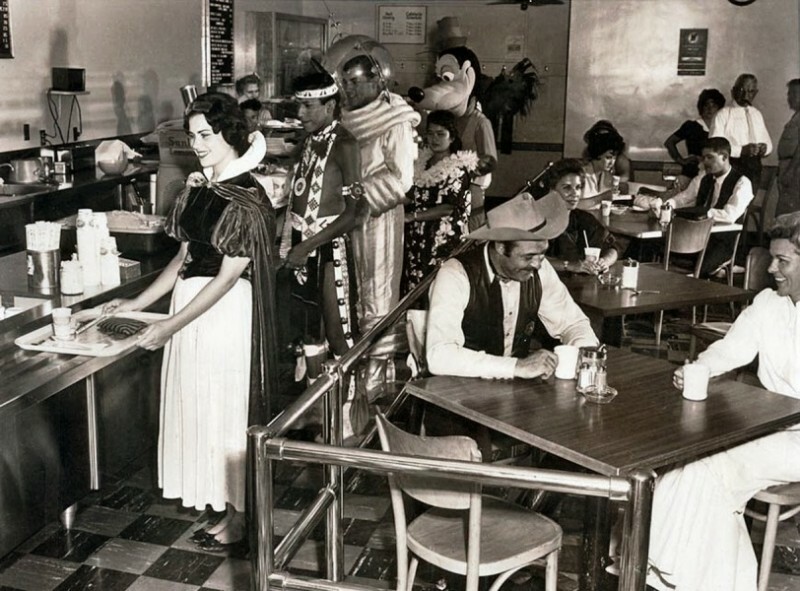 Disney employees during their lunch break. 31. 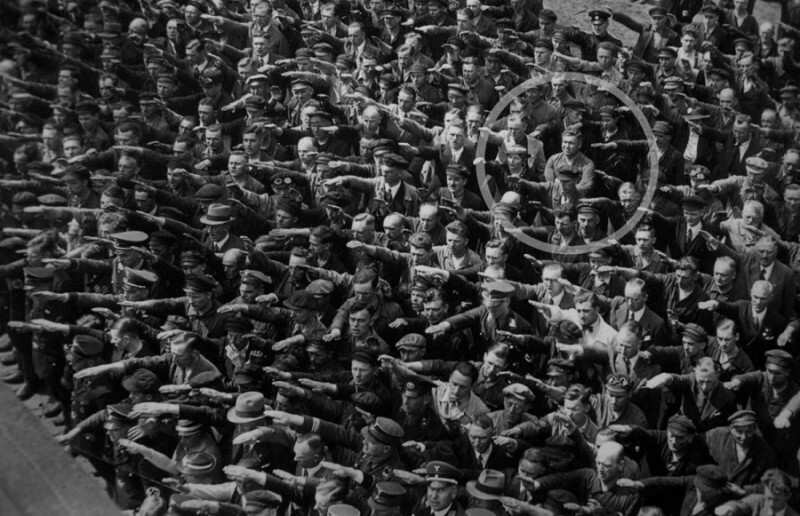 August Landmesser refuses to salute Hitler. 32. 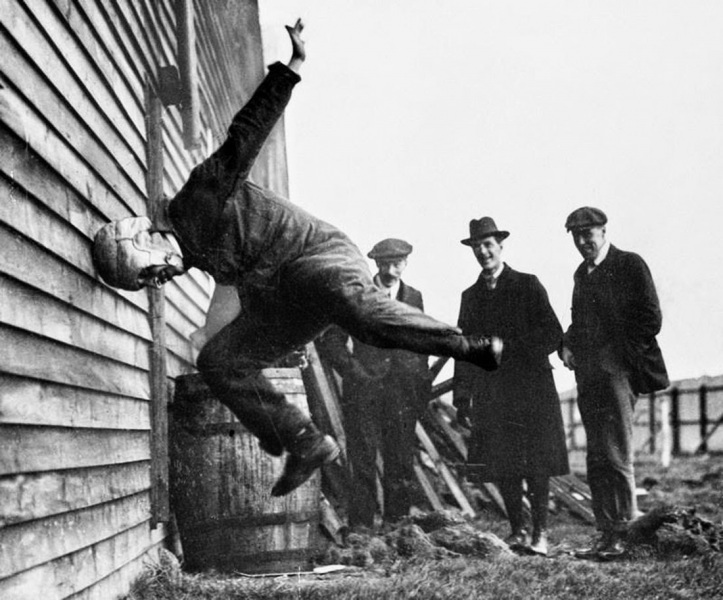 Testing a football helmet. 33. 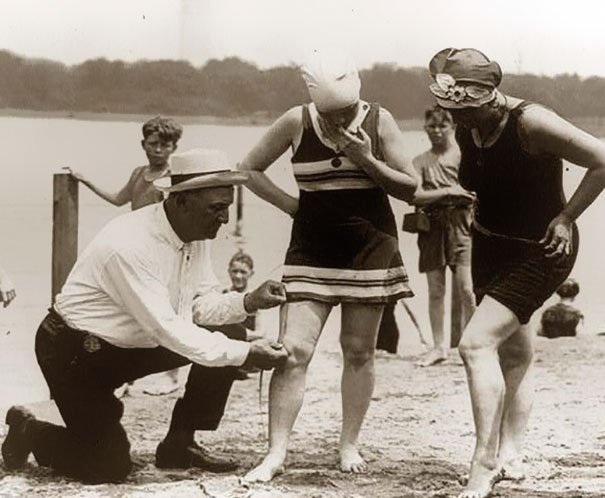 Are the swimsuits too short? 34. A couple separated by a wall. 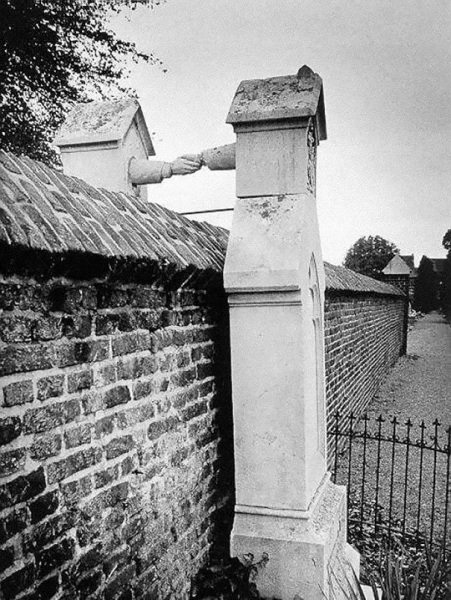 One is buried in a Protestant cemetery and the other in a Catholic cemetery. 35. Barack Obama and his highschool basketball team. 36. 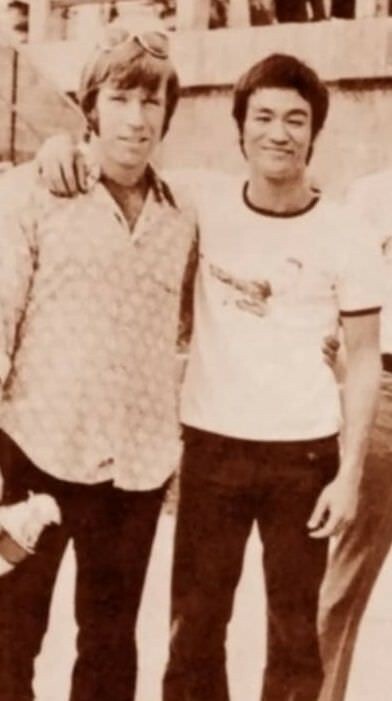 Chuck Norris and Bruce Lee. 37. 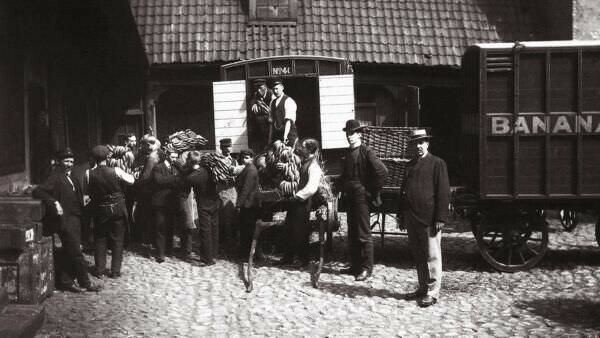 Norway celebrates the first banana to ever enter the country. 38. 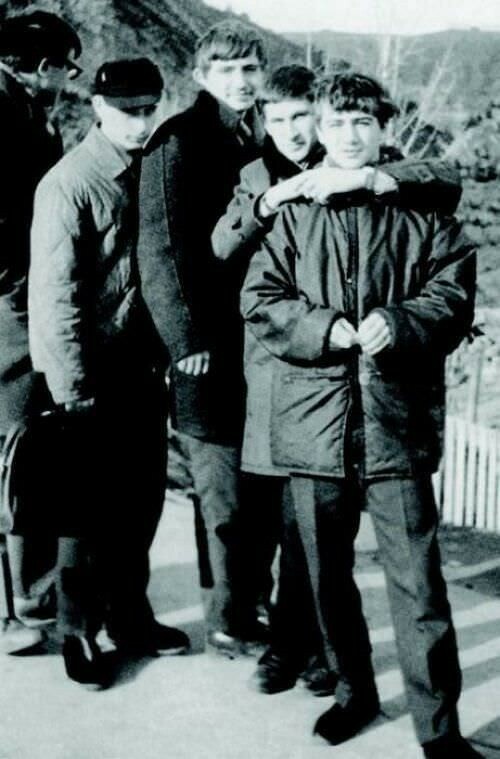 A young Vladimir Putin (left with cap).